I pride myself on being a third generation fly fishing and hunting guide. My father has been a guide on the Niagara River for many years. He has been host to most major fishing publications and outdoor TV shows. I was lucky to be raised in that environment and to pursue my family dream of living through the outdoors. 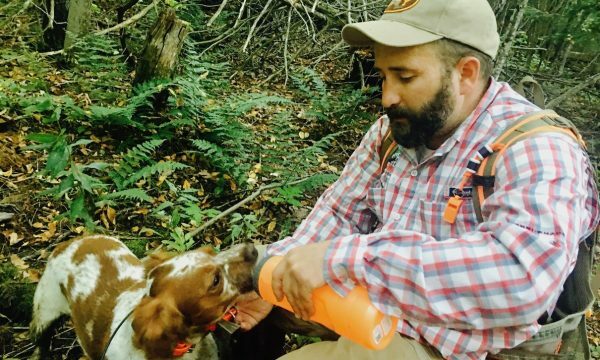 It’s been more than 30 years since the family set out to pursue their goal of providing through the outdoor lifestyle. A tradition that I am proud to carry on. My career began as a guide on my father’s fishing boats on the Niagara River and Lake Ontario. I spent my youth taking whatever jobs he would give me and soaked up every bit of information I could. I’ve always been a passionate student of the outdoors. I didn’t know then, but this upbringing was priming me for a future as a guide in the Adirondack Mountains. I took my first job in the big world in the Mid Hudson region of New York with the Angler’s Den, formerly known as English Angling Trappings. Some of the fly fisherman reading this may recognize this business as one of the first mail order catalogs for fly tying materials, including rare and hard to find feathers and fur. 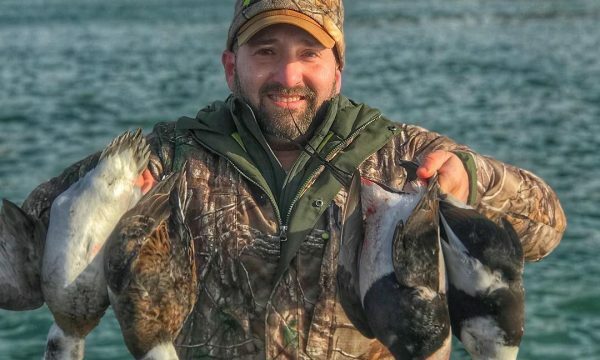 I began guiding trips without my family for the first time here on legendary waters such as the Beaverkill, Willowemoc, Delaware, Housatonic, Farmington, and Neversink. Here I was under the tutelage of Joe Zarecki and Robert Lewis who taught me to truly tie well and was responsible for my first Pro Staff assignment with Flymen Fishing Company. I began molding myself as a guide under their wings and I will never be able to repay them for the time they spent with me. From there I followed a girl to Lake Placid New York where I took a job with Jones Outfitters fishing the W.Branch of the Ausable. Jones Outfitters was just awarded with the “Orvis Dealer of the Year” award and I couldn’t have been happier. I knew once I settled here that my semi nomadic lifestyle had come to an end and I had found the one place where I wanted to plant my feet. 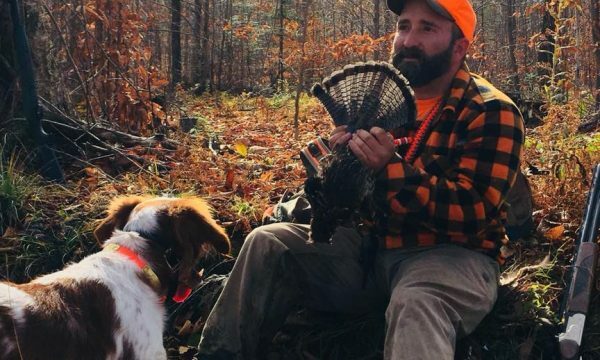 It was here in the High Peaks region of the Adirondacks that I started a family of my own.After a short stint in Afghanistan with the U.S. Army I took a job as a fly fishing and Adirondack Mountain hunting guide at the Hungry Trout. 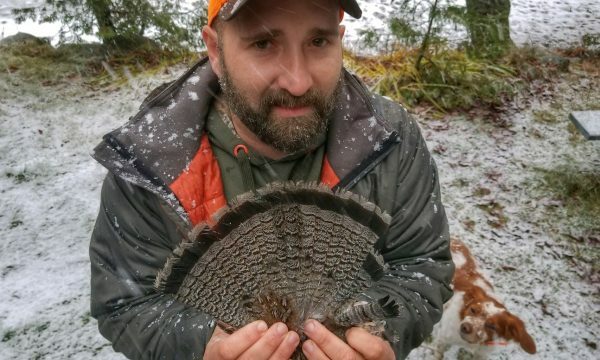 My current position is the Operations Manager, fly fishing guide, and head Hunting guide at the Hungry Trout Resort. I get to spend time with hundreds of like minded sportsman every year. 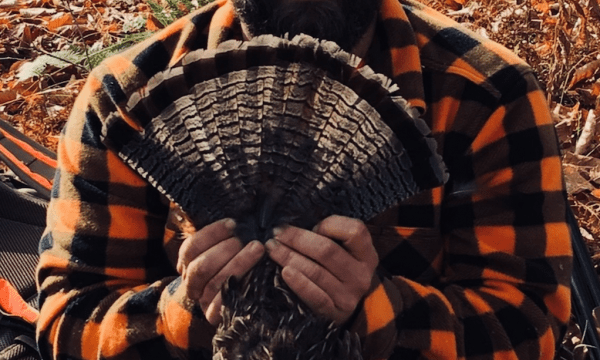 It’s my wish to spend a day with you this year and share my experience and passion for the outdoors. Voodoo was the first dog I ever bought solo. I bought Voodoo from a kennel in Oklahoma after speaking with what felt like somewhere around a million different breeders. You need to feel comfortable with your breeder, you have big decisions to make. If you take anything from this paragraph take that. Along with Voodoo, my father purchased Vega, which to date was unquestionably the best dog I have ever seen. Voodoo was in a car accident that took Vega’s life far too young and was consequently retired. Fortunately lived a long happy life right up to the day father time took him. Bertie came to me at an insane time in my life. My girlfriend was more than halfway through her pregnancy and I was just starting my guiding career. I’d been dogless for several years due to the military and knew we were bringing a son into the world. Dogs were a huge part of my upbringing and I wanted a dog around at all times for my boy. I wasn’t looking for her but Bertie found me. I was in the early stages of a search for a breeder when I saw her picture online. She came from a family that was going through hard times with all things considered. They were particularly looking for someone to love her, hunt her, and provide her a good home. 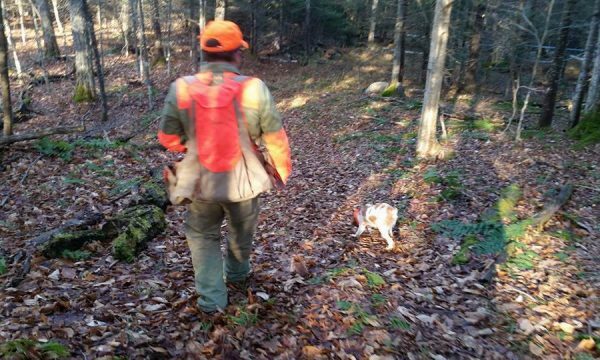 We took Bertie in and eventually I killed my first grouse in the Adirondack Mountains hunting over her. Louis (loo-E) is a special dog. He’s a three year old rocket ship, a grouse and woodcock hunting machine. 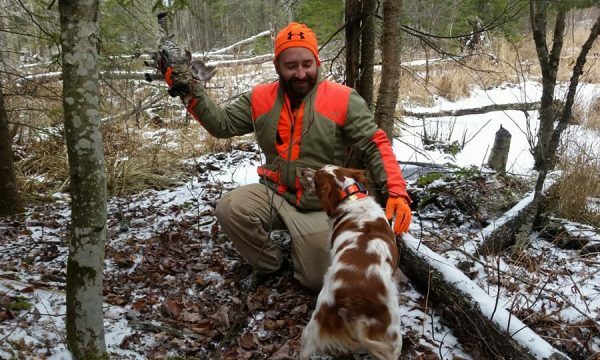 After retiring from the military to the Adirondacks, hunting here became an obsession. I knew I was in the perfect time in my life to truly dedicate my energy to training another dog. I waited a year and a half for the right litter, and Louis is the result. Louis is from L’Escarbot Kennel in Minnesota, the birthplace of many great French Brittanys. I knew quickly that I had something special with Louis. 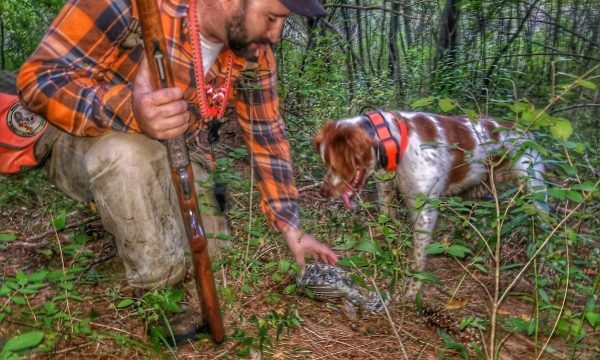 He was a maniac about birds right out of the gate and soaked up all the training I gave him.